The first Polynesian Explorer and female Fellow in the history of the NATIONAL GEOGRAPHIC SOCIETY, Dr. Elizabeth Lindsey is an internationally recognized expert in the emergent field of cultural intelligence – a dynamic, holistic system of knowledge and wisdom based on indigenous science. Elizabeth’s keen insights and first-hand accounts from around the world have made her keynote addresses an inspiring call to action. A sought after speaker in the United States, Europe, Asia and the Pacific, her audiences have included: Oxford University, Harvard University, Stanford University, TED, YPO/WPO, the American Museum of Natural History and the Smithsonian. Dr. Lindsey is an advisor to world leaders and global institutions serving on such boards as the Tibet Fund for his Holiness the Dali Lama and the United Nations Ambassadors’ Islands First. In 2010 she received the Visionary Award from the United Nations for her contributions in intercultural engagement and understanding. She is currently filming the pilot for a PBS television series that explores ways in which cultural intelligence addresses 21st century challenges and has been interviewed by NPR, CBS, National Geographic, the L.A. Times and others. Dr. Elizabeth Kapu’uwailani Lindsey credits her lifelong commitment to the native Hawaiian elders who raised her. A former Miss Hawai’i, Elizabeth was named “Woman of the Year” for The Big Island of Hawai’i in 2004. 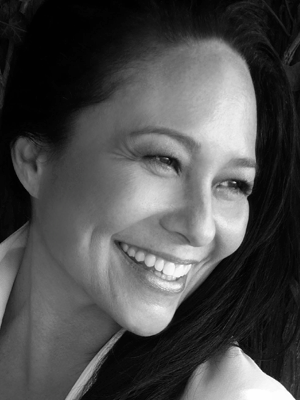 Elizabeth is also an award-winning filmmaker whose documentary, Then There Were None, chronicles the near extinction of native Hawaiians and has received numerous awards including the prestigious CINE Eagle. She is currently working on two books. The first is about cultural intelligence, which she is co-authoring with Dr. David Martin. The second, a collaboration with award winning photographer Lisa Kristine, chronicles their year long journey in search of vanishing wisdom from the world’s most remote cultures. The two women will travel from caves in China where a vestige of chi kung grandmasters still live to the People of the Veil, a group of nomadic Kel Tagelmust elders in northern Africa. Both books are due out in late 2012.